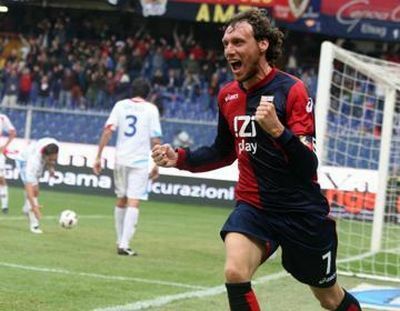 Every club needs to have a symbol: with our Genoa it is captain Marco Rossi who plays his 9th season with Genoa: his fifth in Serie A, 3 in Serie B and 1 in Serie C-1. The last weeks our most popular Genoano was injured, but in Parma he is back and ready to support our defense who misses Dainelli (banned after his red card last week) and Mesto (injured). Also Zé Eduardo is still injured, but mr. Malesani took all the 22 other healthy players to the famous cheese-city.